Uglyworld #509 - A Friendly Game Of Dominoes, originally uploaded by www.bazpics.com. As the rest of us waited patiently at the exit of the castle there was one of us missing, Jeero (how could you even think of it being one of the others). 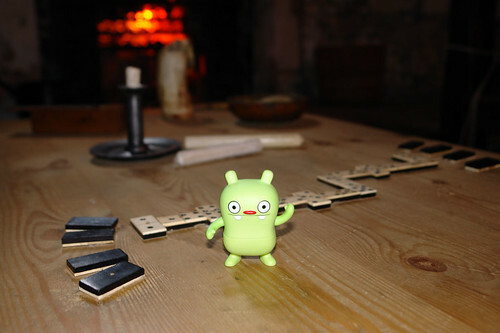 After a brief search we found him in the soldiers quarters playing dominoes with some new found friends, who thankfully were happy enough to write off what Jeero owed them from several games he had lost.